Customized Illinois Principals Association logo embroidered on left crest. Please allow 10 working days for delivery. 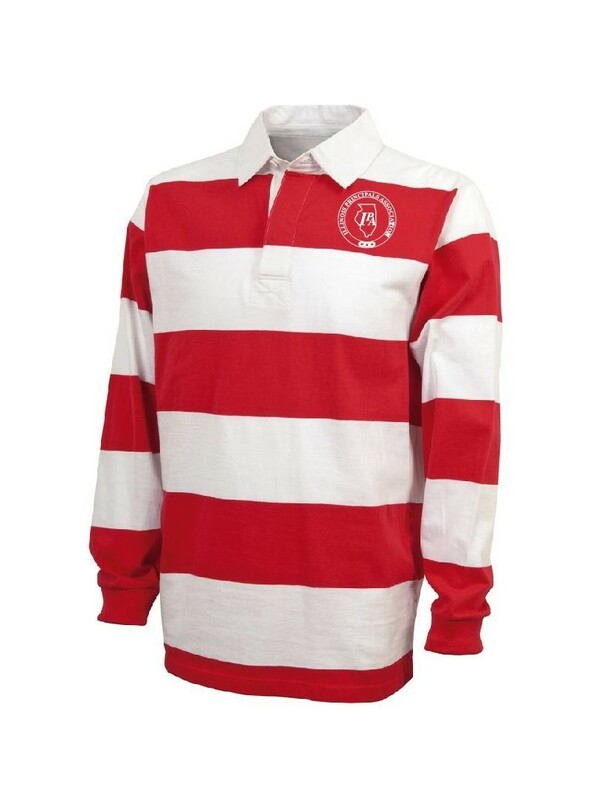 100% cotton jersey weighing 8.85 oz/yd2 (equiv to 14.75 oz/lyd, 300 gsm) with a classic 4” yarn-dyed rugby stripe [Black/Grey 006 is 77% cotton/23% polyester]. Yarn-dying is a special, high quality fabrication. White twill collar stitched with reinforcing tape for added strength. Heavy-duty white twill placket conceals rubber buttons. Rib knit cuffs. Reinforced stitching throughout. IPA logo on left crest and centered on stripe. Please specify color choice of design.